Lancaster Regional Players are holding auditions February 13 & 15 from 6:30 pm - 9:00 pm at our rehearsal space, Romar Industrial Plaza on Harlem Rd in Cheektowaga. 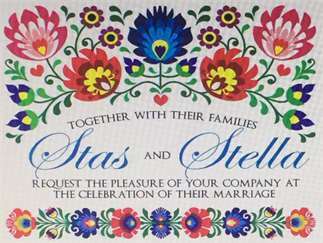 We're looking for actors for our production of "Stas and Stella's Mostly Traditional Polish Wedding" First performance is March 23. We need both male and female actors, all ages, 18 and up. We're looking for a bride, a groom, parents, groomsmen, bridesmaids, family members and others! Questions? Call Russ @ 716-435-5607.